Have you ever been stumped by a broken key that just won’t seem to come out of the lock it’s stuck in? Many locksmiths have, I think, and that’s why at GOSOLockPicks, we carry the tools that you need to solve this occasional problem. 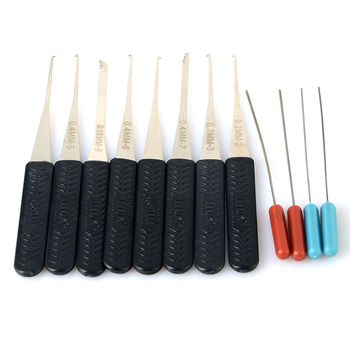 The HUK 12-Piece broken key extractor kit comes with 12 pieces key extractors of different shapes, from big to small, so as to fit locks both for cars or household keys.